Lisa Perez, photo by Scott Lapham. 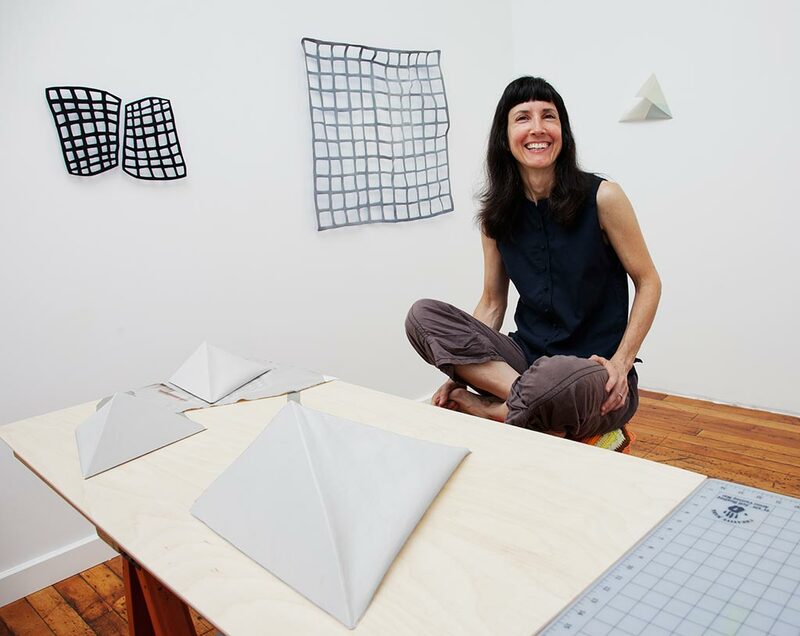 A multi-disciplinary artist, Lisa Perez makes abstract sculptural paintings, objects and works on paper that investigate attention, perception and spatial dimension. Fusing the subtle edges between mediums, her practice takes a malleable approach to form. The work invokes minimalism initially, but slowly one encounters an unfolding of playful extremes in color, shadow, form, and a subtle humor countering austerity. An off-kilter grid evokes rigid order, but embraces chaos through unexpected movement. Teetering on the edge of familiar territory, the lines, marks and forms of the works defy assumption and predictable categorization. 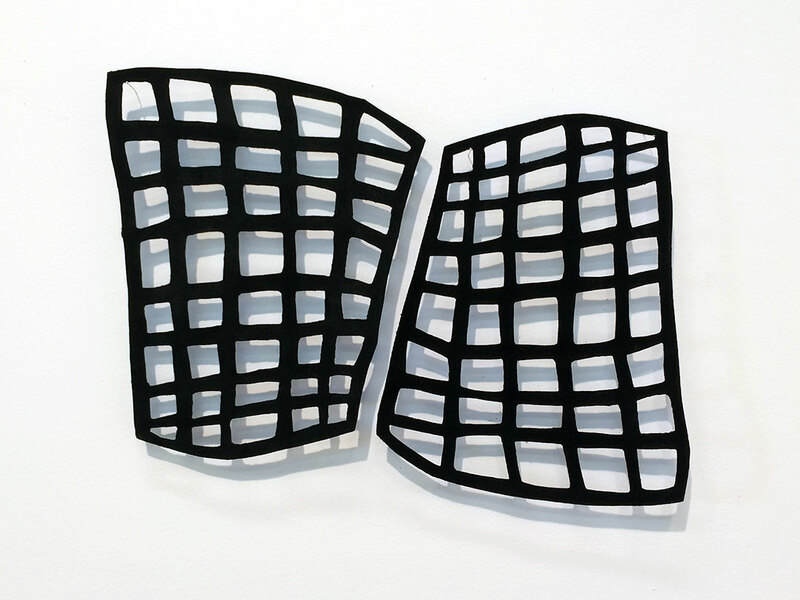 Perez says, “It is abstraction channeled through a desire for order and perfection.” Perez received her MFA from the University of California, Berkeley, and currently lives and works in Rhode Island. Her work has been exhibited locally and nationally and is in the RISD Museum as well as private and corporate collections. Paint on hand-cut canvas, 12 x 18 in.